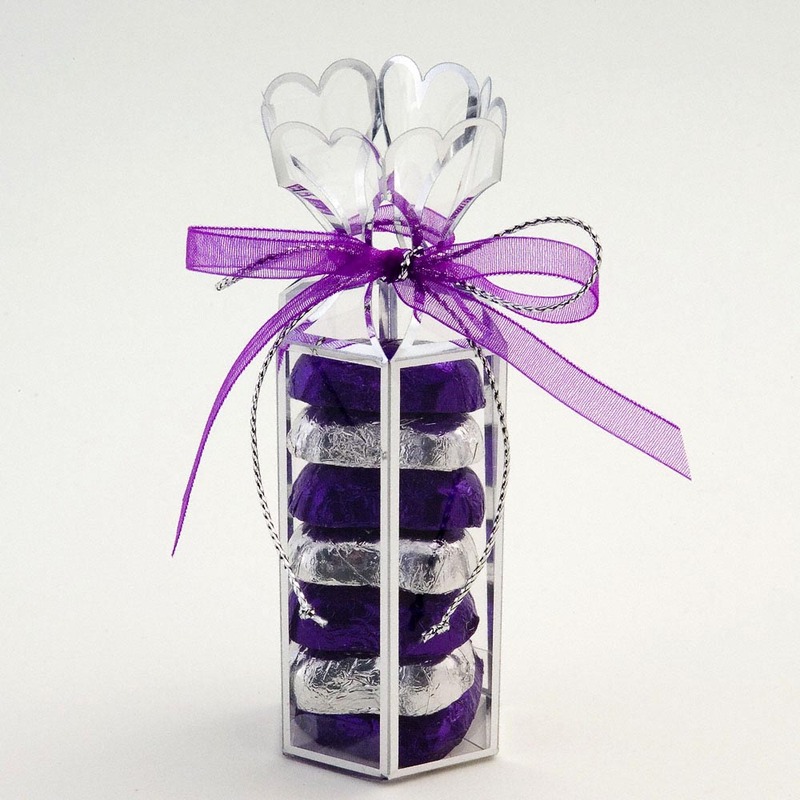 Our Clear Hexagonal Wedding Favours are a simple and extremely versatile favour for your wedding tables. Supplied flat packed. fillings and decorations are NOT included, ideal as a Favour Box Heart Chocolates. Approximate Size: Base 3.5cm diameter, Height 7cm, Total Height including Hearts 10..5cm. 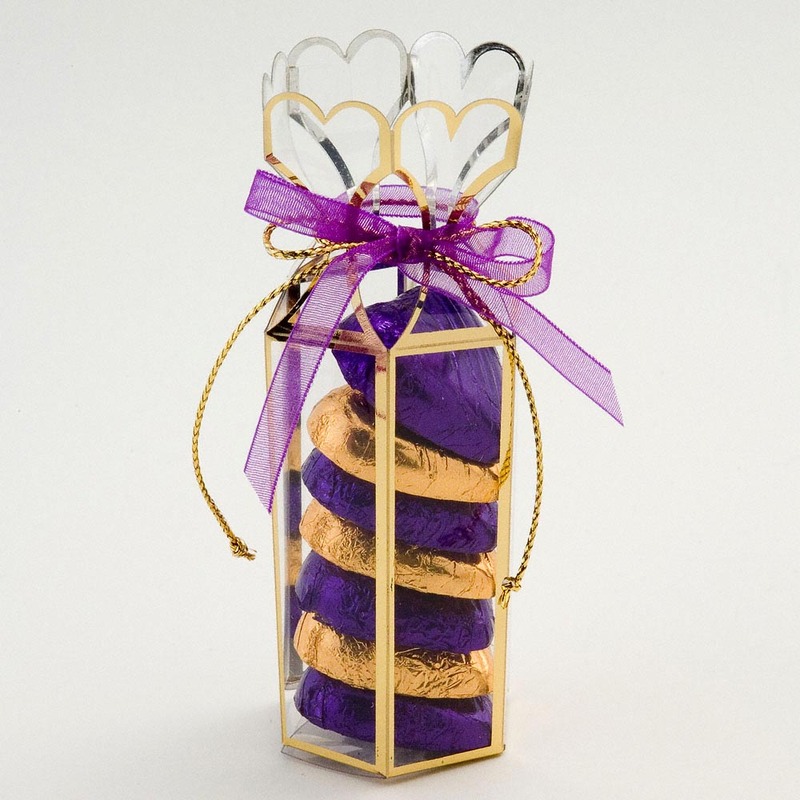 These favour holders come in a variety of 2 different colours, gold and silver, and are a great addition to your wedding. When paired with our satin or organza ribbon they can become a truely eye catching wedding favour, fill them with our chocolate foil hearts to add some extra colour.